I came across a well written series of articles by Climb & Spin Blog author Kira Lamb, incorporating the concept of inversion readiness for injury prevention. This is an important focus in pole dancing that anyone can agree on. Safety is always a number one priority. 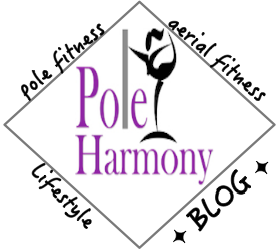 In the pole community, I strongly advocate education as being a key element to injury prevention. Teaching is a responsibility. It's imperative that an instructor is knowledgeable about every aspect involved in the curriculum they are teaching. You must be aware of your self and your students all while maintaining control over your class. Maintaining control can involve sticking to a curriculum of progression that will enable a student to reach a desired level or goal in their dancing. Some students will not agree on this strict adherence to the rules and you may be at risk of losing students due to your persistence in playing it safe. In these circumstances, we must remember to build an understanding with our students and explain to them the reason why we are doing things the way we are doing them. The eager student will always feel as though they are ready, even if they are not. It's crucial to their safety and yours to reinforce your plan of progression and only moving forward when you and your student are both ready. Bottom line, students should never invert on their first lesson. This is a dangerous and neglectful practice on the studio/instructor's part if this is happening. You must build a trusting working relationship with a student through a series of progressive conditioning. The key to success in pole dancing is to remain patient in your progression and maintain a persistence within limitations. The overall goal is safe progress with the continued ability to dance.